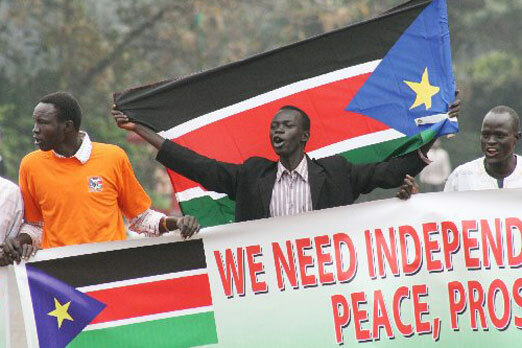 As many of you would probably know, the referendum in which Southern Sudanese will decide wether or not to become an indipendent country is schedule within one month (9th January). For those of you who know a little about Africa and about this huge, fascinating country, it would be easy to see why this would be (whatever the outcome) an historical date. For those who are just curious: let’s just say this will be the first brand new african country ever recognised by the international community, and that its government faces the enourmous task of building a state and a nation literally from scratch. As I will probably have the privilege to be there to see how things will shape up in the next 6 months, I thought I need some urgent background readings. Thus, I asked two real experts of Sudan history and politics to be my reading guides, and they gave me the following suggestions on what are the unmissable readings (if you only have a couple of weeks to spend on it). Douglas H. Johnson, The Root Causes of Sudan’s Civil War : A punctual account of the history of civil wars in sudan starting with the eighties. Very useful for it has a great chronology of events as appendix. Mahmood Mamdani, Saviors and Survivors: Darfur, Politics and the War on Terror: Given the fact that the author’s previous book (Citizens and subjects) has launched a new way of thinking about politics and power in Africa, there were great expectations for this one. Needless to say, it has generated a huge debate and fierce discussions for its attacks to the Save Darfur movement of which you can find samples here and here. I am not pronuncing yet. Still, I agree, it is an unmissable reading. Alex De Waal and Julie Flynt, Darfur: a short history of a long war (updated version): As the person who suggested this told me: it doesn’t matter if you are going only in the South: it is still the very same country (at least for another month) and what happens in Darfur has its repercussions in the South and viceversa. Deborah Scroggings: Emma’s war. Love, Betrayal and Death in the Sudan: On a much lighter tone (the title sounds so Liala), but great to bring on the plane to Karthoum, here is the story of Emma McClune, a british aid worker who felt in love and married Riek Machar, one of the rebel commanders who staged the coup against John Garang in 1991.